All visitors entering the legislative complex and their belongings must pass through a metal detector. Visitors 16 years and older also need to present a photo identification. Visitors should not bring large bags (e.g., backpacks) unless absolutely necessary. Temporary visitor badges are issued and must be worn at all times when visiting the legislative complex. 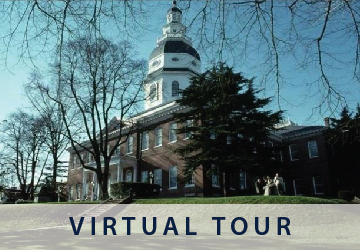 The Visitors Program in the Department of Legislative Services serves Members of the Maryland General Assembly, their staff, and public constituents by offering free educational tours of the legislative complex to groups by advance reservation only. These group tours can be reserved year-round for visits Monday through Friday, 8 a.m. to 5 p.m. (with 4 p.m. being the last tour start time) and on Monday evening during the annual legislative session (January to early April) before the 8 p.m. floor session begins. On a limited basis, touring Government House (official residence of Maryland’s governor)—only an option on Tuesdays or Thursdays, 10:30 a.m.-12 p.m. There is a limit to how many groups the Visitors Program can receive each day. Many legislative session dates get booked fully well in advance so early reservations are recommended. Group’s name and mailing address. Group leader’s name, contact phone number, and email address. Number of youth (and their grade levels) and adults in the group (Note: Student/youth groups need a sufficient number of adult chaperones). Preferred visit date and alternative dates; arrival and departure time preferences. Any special accommodations needed such as wheelchair access? Buses are strictly prohibited on State Circle: The Visitors Program emails group leaders with reserved tours a map showing where buses can drop off and pick up groups. Buses can park, for a fee, at the Navy-Marine Corps Memorial Stadium. The State House has a self-guided tour for individuals of several exhibits featuring historic documents, antiques, and portraits. 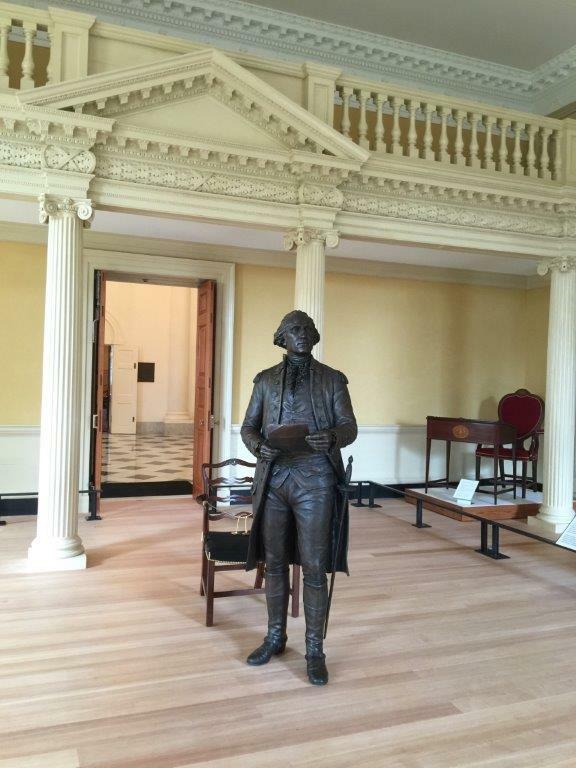 You may also visit the room where George Washington resigned his commission as Commander in Chief of the Continental Army in the American Revolution. The State House is open to the public from 9 a.m. to 5 p.m. every day except for Christmas Day (December 25) and New Year’s Day (January 1).